CFL bulbs use up to 75% less energy than incandescent bulbs. 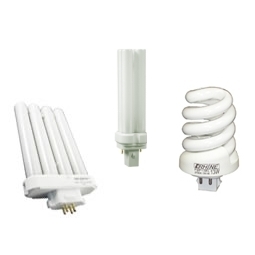 There are many CFL bulb available, such as dimmables, reflectors, and spirals. They last for thousands of hours, reducing the amount of replacement required. Can a CFL Be Used with A Timer, Photocell, or Motion Sensor? It takes complex technology to get compact fluorescent lights (CFLs) to save 75% more energy than incandescent lighting, but is this same technology limited when it comes to lighting controls such as timers, photocells, and motion sensors? The short answer to the above question: yes, CFLs are limited. Electronic or digital controls such as timers, photocells, and motion sensors were created to work with the simplicity of incandescent light bulbs, not CFLs. 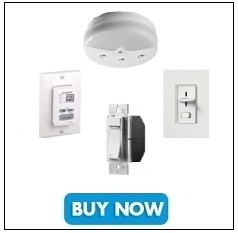 Specific input voltage – Dimmers make it possible for the voltage to go up and down. CFLs are not made for this change in voltage. Restricted start-up time – Constantly turning a CFL bulb on and off can reduce the lifespan. Some light switches can turn lights on/off at a rate of 120x per second! Temperature – A CFL bulb installed with an outdoor motion sensor is susceptible to the drops/rises in the temperature outside. This may stop the sensor from working properly. So, Can a CFL Be Used with a Timer, Photocell, or Motion Sensor? For some (not all) CFLs the answer is yes, but only under certain conditions. Again, electronic or digital light controls pose a problem for CFLs, but mechanically controlled devices (like some timers) work just fine. Before purchasing a dimmer, motion sensor, timer, etc., make sure the device is compliant with its stated UL section, otherwise the CFL will not last as long as the listed lifespan. The UL (Underwriter Laboratories) section tells you if the device is functional and safe. Though you can gain more than 80% in energy savings by using daylighting controls and occupancy sensors, another way to maximize the energy efficiency of CFLs is by using dimmers. Just check that purchased bulbs specifically state on a label or somewhere on the packaging that they are dimmable, because attempting to use a non-dimmable CFL in a dimmable light fixture could shorten the lifespan. The complex technology in CFLs may have a few limitation, but that 75% in energy savings translates in the home, on your energy bills, and also in the environment. The light-emitting diode, or LED, has been in existence for a while — your digital clock and flashlight have been using it for years, but only recently have LEDs been considered as the primary source for household lighting. Incandescent light bulbs — those inefficient, energy-sapping bulbs that have been the standard for years — are on their way out and quickly being replaced with energy-saving alternatives like LED lights. To make the lighting switch a little easier to understand, here are five factors to consider when choosing LED reflectors. 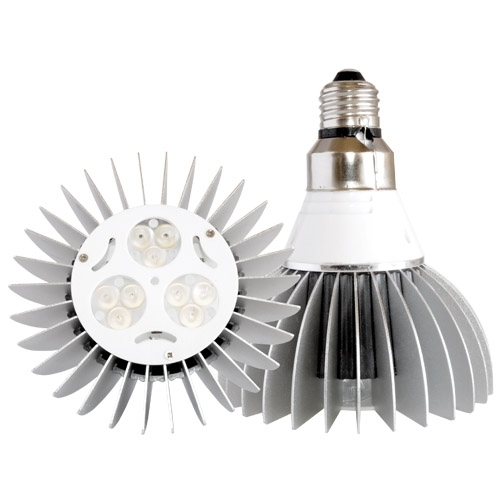 LEDs offer somewhat of a spotlight compared to incandescent bulbs and compact florescent light bulbs (CFL). LED lighting is more directional, emitting light in only one direction. This directional lighting, referred to as “beam types” or “beam angles,” is described in degrees. Simply put, this tells you the how much area the light will cover (e.g. 360 degree beam is a full beam type. Some lights offer narrow beams, such as 15-30 degree beams or even less). 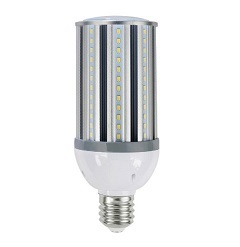 There are two types of LED light bulbs: Parabolic Aluminized Reflector (PAR) and Bulged Reflector (BR). BR light bulbs have “wide flood” beam angles, meaning they light an area at an angle higher than 45 degrees. The numbers after BR and PAR (like 30) represent 1/8th of an inch, which is the diameter of the bulb. To find the diameter, just divide the number by 8. 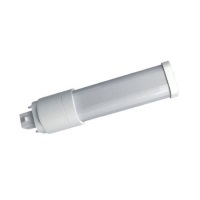 For example, the size of a PAR 30 bulb is 30/8, or 3.75 inches in diameter. The base of LED lights and incandescent lights sometimes are not the same. Make sure that you switch out bulbs of the same base before purchasing LED lights. It may seem like a lot of information, but it’s best to understand what you’re getting with LED lighting before making a purchase. All-in-all, LEDs last longer than incandescent lights, save a lot more energy, and are a smart long-term investment in conservation. GU24 lamps were designed to be better than the pin-based bulbs they’re replacing, so naturally replacement was a feature that had to be corrected. 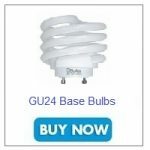 Unlike pin-based light bulbs, GU24 lamps can be replaced with bulbs from any manufacturer as long as the fixture has a GU24 socket. This not only makes replacement easier, but this allows you to shop around for the best bulbs without worrying if you’ll be able to easily replace the bulb you have. Another attempt to correct pin-based compact florescent lamps (CFLs) was to design GU24 lamps with the ballast already attached. The ballast is an electrical device for starting and controlling fluorescent and discharge lamps and is easily replaced. Standard base fixtures, or lamps (not to be confused for light bulbs/lamps), are still considered standard because while incandescent bulbs are disappearing, standard base fixtures are not. To make the transition from incandescent to CFL easier, GU24 bulbs can be plugged into an adapter that will fit any standard base fixture. By using less energy to achieve the the same or even better lighting results, GU24 lamps are a sound option for cost-effective, energy resourceful lighting. It can be difficult replacing a circline CFL. 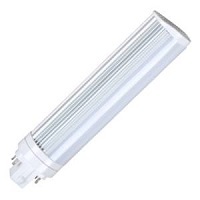 Circular fluorescent light bulbs differ in many ways and sometimes come with manufacture-only specifics. So which one is right for your light fixture, and how can you tell the difference? Before purchasing circular bulbs, you need to know the diameter of the bulb needed. You can do that by measuring an existing bulb for the fixture, or looking up the manufacturer model number and finding the compatible bulb. Bulbs range from 5″-12″ in diameter. Wattage is how much power the bulb consumes and lumens is how much light the bulb emits. The lower the wattage and lumen ratings, the less light the bulb will provide. Higher wattage and lumen ratings give off more light. Some light fixtures only allow bulbs from the same manufacturer to be used in it. If a bulb from a different manufacturer is plugged into the light fixture, the bulb will not work. 2700K: This is a warm white color, the type you would expect to see in living rooms and bedroom. 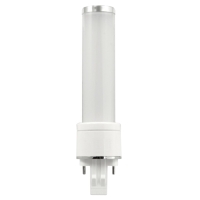 3000-3500K: This bulb is suited for bathrooms, giving off a soft white color. 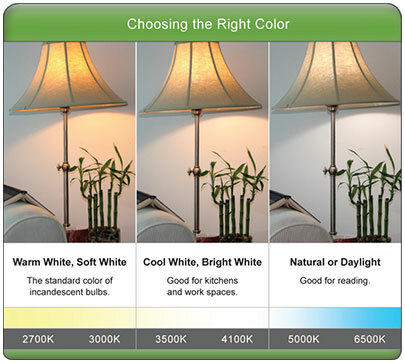 4100K: For a cool white color, almost florescent white, use a bulb with this temperature. 5000K: You’ll get the brightest color, daylight white – like the color of the sun at noon, from a 5000K temperature circline CFL . 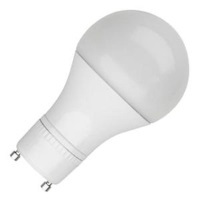 This bulb is best suited for when you need the brightest light, like in painting and drawing rooms. 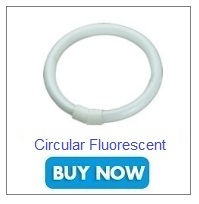 It’s important to keep all of these factors in mind when choosing the right circline CFL. Especially keep in mind manufacture-specifics, and be sure to read the description on either the bulb or the fixture before making a decision. 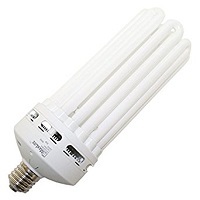 By now, you’ve probably come across a GU24 CFL bulb. You know it’s the CFL that has two prongs sticking out. You attach it to the fixture not by screwing it in (like a standard bulb) but by sticking the prongs into the fixture and twisting it till the bulb locks into place. When these bulbs came onto the lighting scene a few years ago, there weren’t a lot of options. That has changed as these have gained popularity due to GU24 advantages which we cited in a previous post. Now you can get GU24 bulbs from all the major lighting manufacturers such as TCP Lighting, Feit Electric, Bulbrite, Maxlite, Sylvania to name a few. They are available in different wattages, sizes (short, tall), color temperatures (2700k for a warm look or 5000 for a daylight color) and they have dimmable features available. 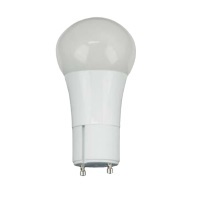 A few years ago you couldn’t have a GU24 bulb in a dimmable fixture. 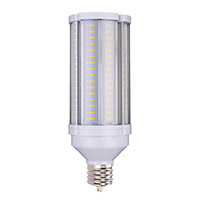 That’s changed now and dimmable GU24 bulbs are available from many manufacturers. So if you’re looking into an energy efficient fixture that you would like to have dimming features, fear not, there are plenty of options.